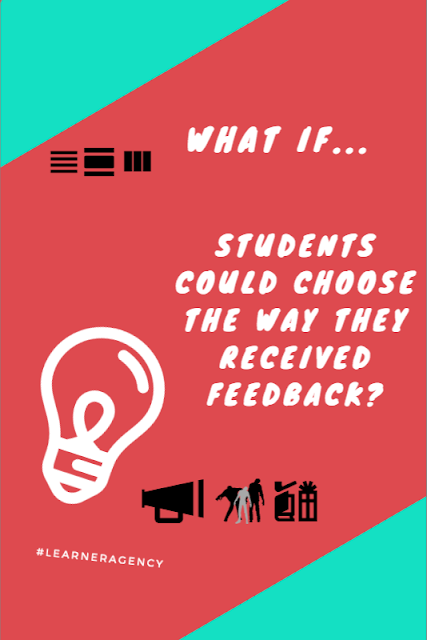 So one of the things I'm thinking about is asking my students to create a profile about how they best like to receive feedback. And when I say feedback, I mean feedback and feedforward in their learning, attitude and behaviour. How might this look? An email? A wink of the eye? A private conversation? A public praising? Written feedback from a peer? As a teacher, you learn about these as you go... but I do wonder how this might influence the culture of your class if we knew it at the get-go?